Preheat the oven to 195°C (175°C for fan-assisted ovens) / 375°F. Spread some olive oil onto a non-stick deep pizza pan, preferably one with holes. Put a cutting board underneath so the olive oil doesn’t make a mess. Drizzle a few drops of olive oil on top of the dough before you start spreading it. 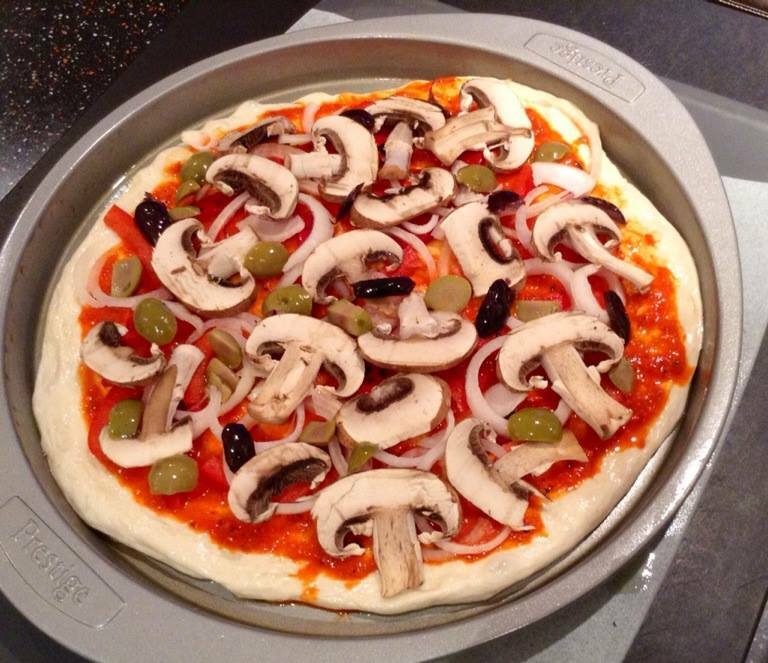 With your hands coated in olive oil, gently extend and press the dough so it covers the pan. Work slowly and don’t pull. 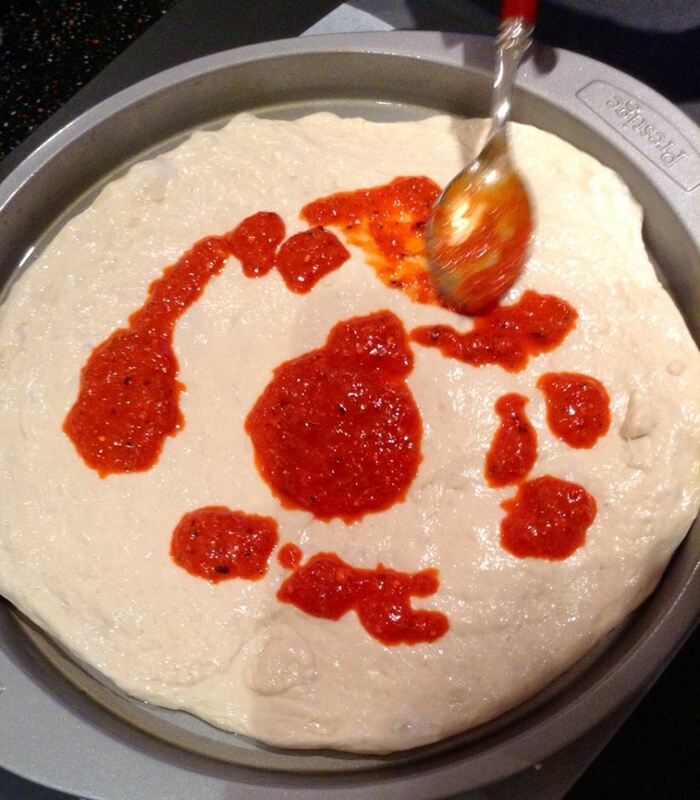 Don’t spread the dough too thin. We are aiming for a deep dish pizza. Eventually the dough will cover the pizza pan. 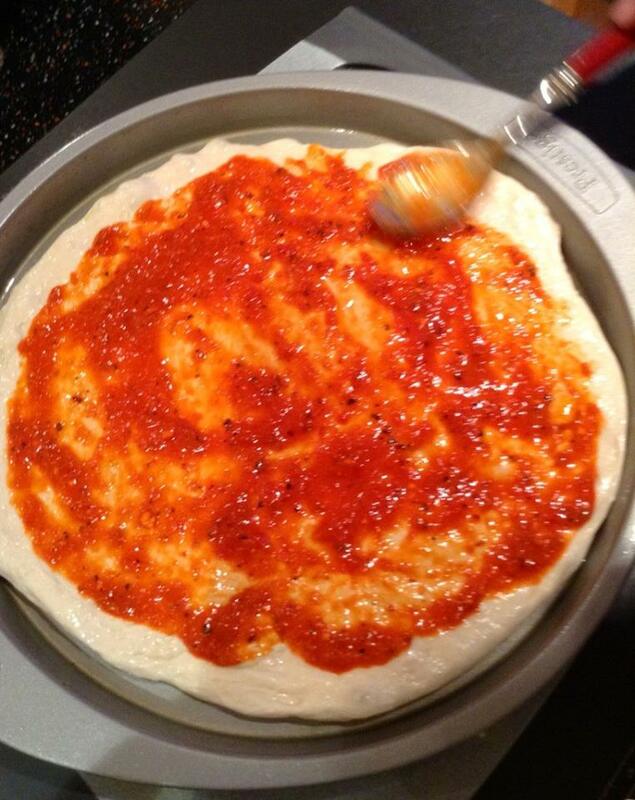 Add a few spoonfuls of red pepper paste and spread evenly with the back of a spoon. I like to use Olive Branch’s Red Pepper Paste from their Greek Mezze range as it also contains Greek cheese (mizithra) and fresh chillies. Slice half a small onion into rings. 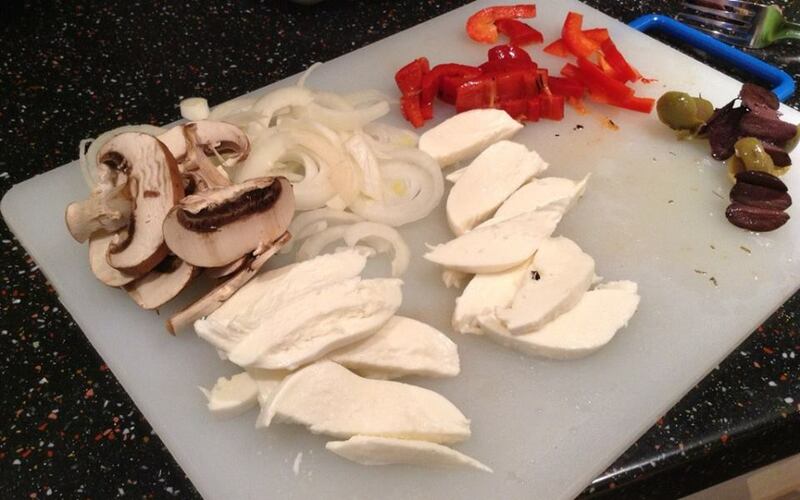 Chop a handful of fresh red peppers and mushrooms (Do not wash the mushrooms with water, scrub off the dirt with a brush or paper towel. 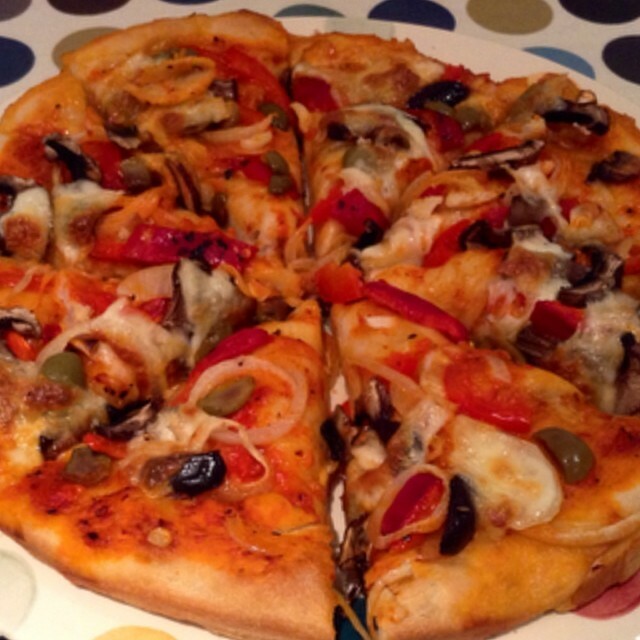 Mushrooms absorb water and your pizza will turn out soggy if you wash them), some roasted red peppers from a jar, 125g of mozzarella and a few green and black olives (I used fresh Rosemary Garlic Olives from Silver & Green and removed the pits). 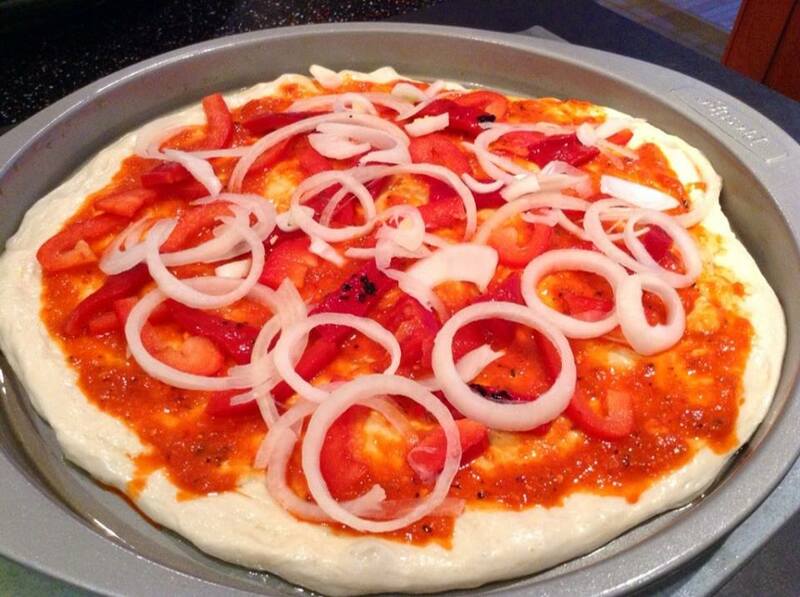 Add the fresh red peppers, roasted red peppers and onions to the pizza. 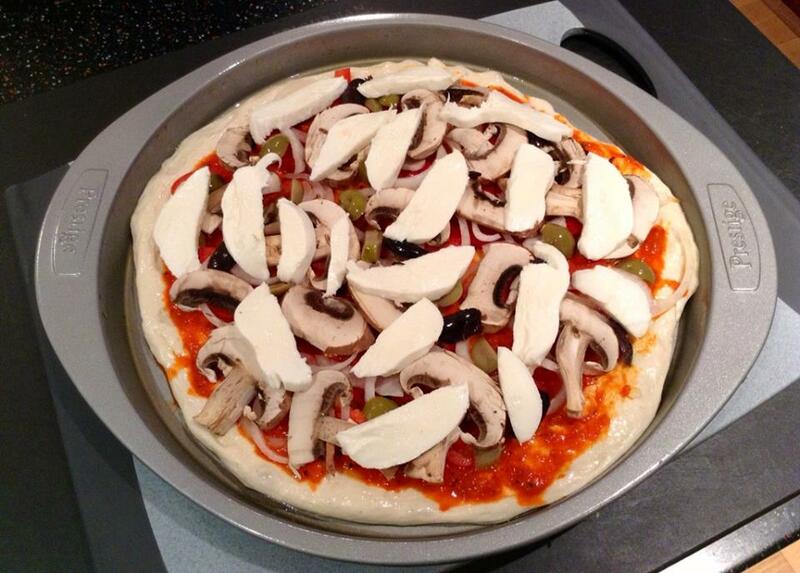 Then arrange the sliced mushrooms and olives on the pizza. This is your work of art so make it look pretty! Place on the middle oven rack and bake in the preheated oven for about 30 minutes, until cheese is melted and crust is golden brown. 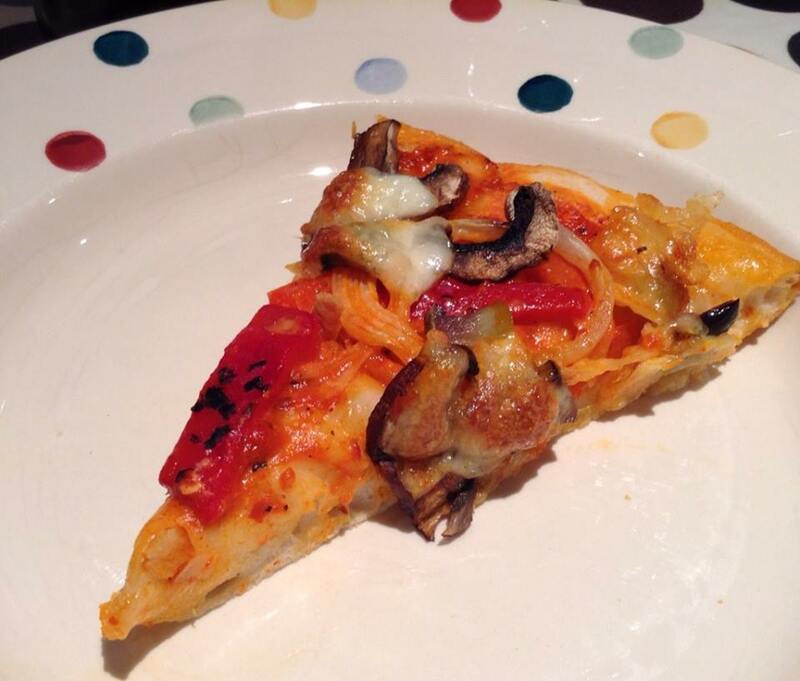 Run a spatula around the edges and underneath to loosen the crust, then gently slide the pizza onto a large plate. 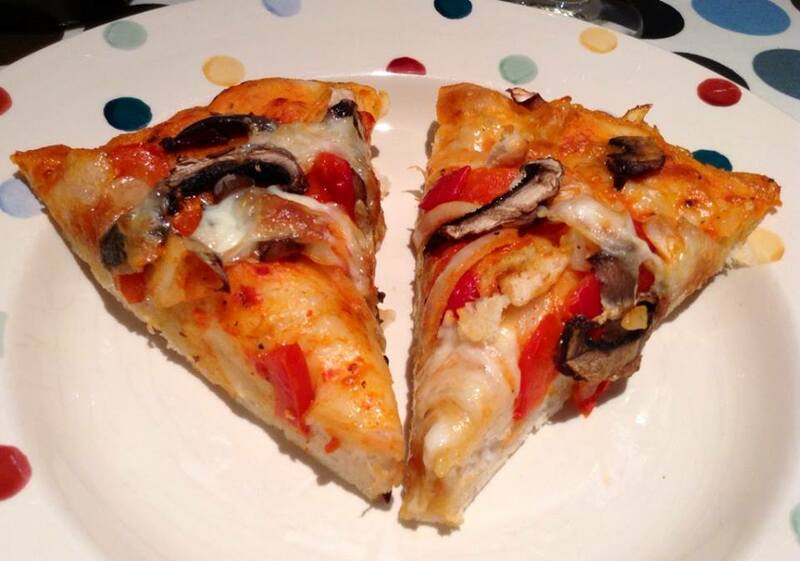 Makes 8 slices or 4 massive ones! Serves 2-3 people, or one hungry teenager (I speak from experience). Enjoy! 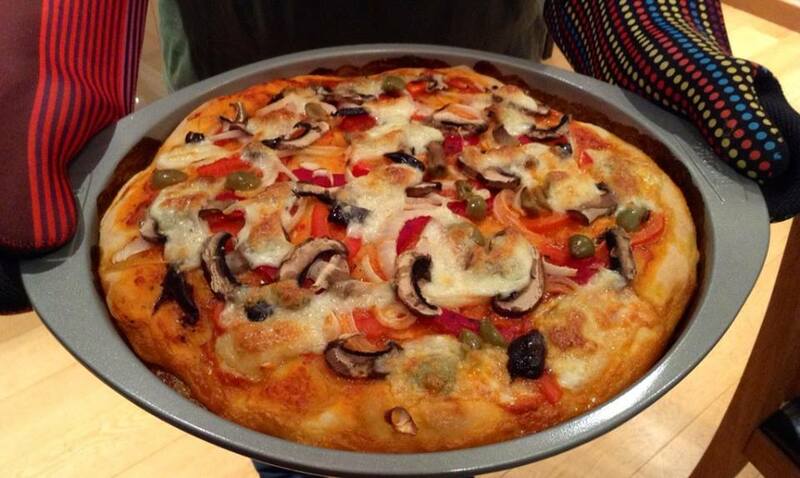 This entry was posted in Our Kitchen and tagged deep dish, mozzarella, mushrooms, Olive Branch, olives, onions, pizza, red pepper, red pepper paste, Silver & Green by One Two Culinary Stew. Bookmark the permalink. Clever! 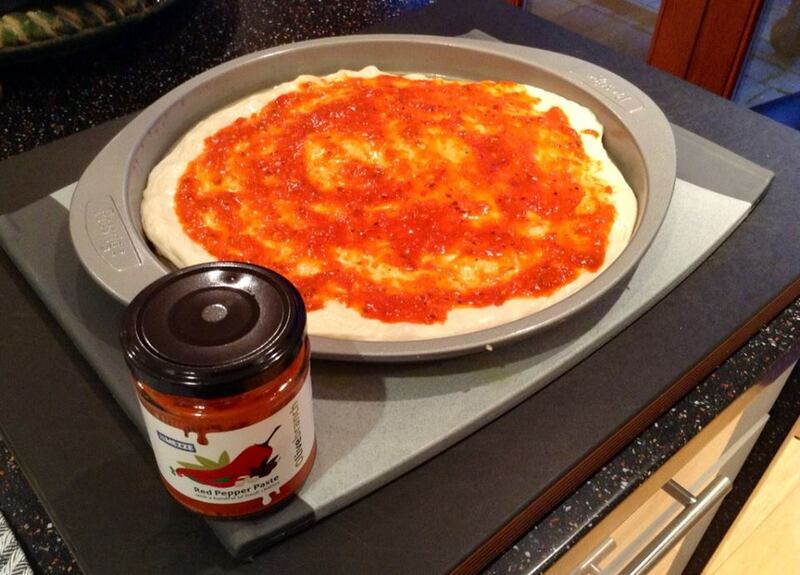 Really like the idea of swapping tomato sauce with the red pepper paste. Thanks, Lisa. It was the first time I tried it. Came out great!